At the start of the month, I went to a Doctoral Consortium and Conference in Wollongong. On my first day there (before the consortium actually started), I wandered around the town a bit and stumbled across an art supply shop. 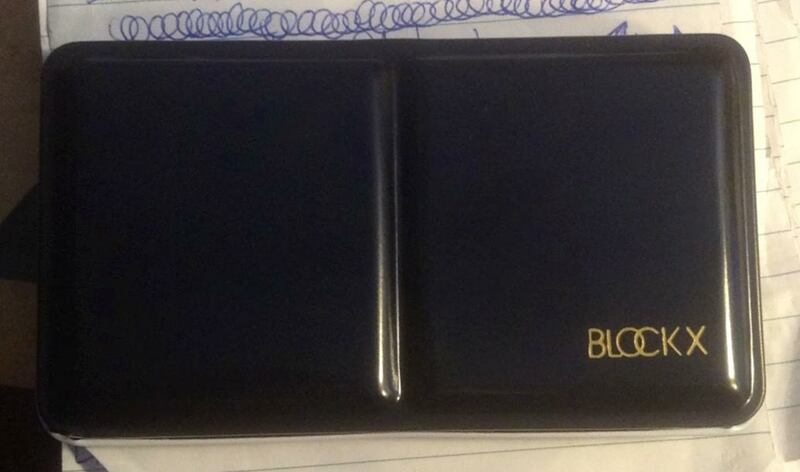 Tucked away in one of their little cabinets was a 12 colour half pan set of Blockx watercolours. Knowing they’re about the most expensive brand of watercolours you can buy, I left without buying them or even bothering to check their price. However, even though I’d been stressing at the prospect of doing my presentation based on my PhD proposal, I ended up doing quite well, and decided I deserved a ‘treat’. When I was bumming around at the conference between listening to other academics present their papers, I went into the town centre for a shop around and on my way back to campus, I ended up at the art supply shop again. Since the Blockx set was still there, I decided to splurge on it (and it turned out it was cheaper than the two other pan sets the shop sold, though I’ve seen both of them much cheaper online). Here’s my colour chart for my Blockx watercolours. The first thing I noticed when I opened the tin was the two reds. The set includes both a Pyrrole Vermilion and a Cadmium Red-Orange, and I don’t understand why it included both. Aside from the Cadmium Red-Orange being more opaque, the colours are almost identical, so one warm red would have been sufficient. There’s also no brown in the set, but there are two Phthalo Greens; it would have been better to include one of the Phthalo Greens and then replace the other with, say, Burnt Sienna Light. I know I can mix brown from a green and a warm red but because browns are colours I commonly use, I prefer to have one ready to go so I can use it straight out of the pan/tube, or modify it slightly if I choose. I used a lot of brown in my sample painting for this post and I used significantly more paint than I normally would because it often took me a few attempts to get the right brown mix. Payne’s Grey is a nice convenience dark, but Ivory Black seemed an odd inclusion, since a lot of watercolourists don’t use it. Also, while most pre-selected watercolour sets come with some variation of Ultramarine Blue, this one had Ultramarine Violet instead. It’s a beautiful colour and it has grown on me, but it took some getting used to as its violet bias makes it behave differently in mixes compared to Ultramarine Blue, though the colours are sort of similar. Mixing Ultramarine Violet with a yellow results in an olive green, unlike the more ‘grassy’ green you get from Ultramarine Blue and yellow, and while you can get a fairly neutral (if slightly bluish) grey by mixing Ultramarine Blue with a brown, any grey mixed with Ultramarine Violet has a noticeably purple cast. If this had been my first watercolour set I probably wouldn’t have had any issues, but I’ve been using Ultramarine Blue and Burnt Sienna for so long now that I find it hard to get along without them. I’ve ordered a few extra tubes online(Ultramarine Blue, Burnt Sienna Light and Quinacridone Magenta) so I can make pans from those and replace some of the colours I’m not too fond of in the set. I’d suggest that if you do buy Blockx watercolours, just pick out some individual colours you like; the pre-selected pan sets will come with a lot of colours you probably won’t need. There are about 72 colours in the range, so you should be able to find any of your favourite or most-used colours in the Blockx line. Now that I’ve talked about the colours, I should probably talk about the quality of the paints themselves. The pan colours are lovely and most rewet easily, but some seemed to take a little bit of extra scrubbing to get going. The colours are strong, highly pigmented and mostly transparent (aside from Cadmium Red-Orange, but Cadmium colours are always at least partially opaque). I did notice that when they dried, they seemed to lose a bit of their intensity, and while watercolours always dry lighter, it seemed a bit more noticeable with the Blockx colours. 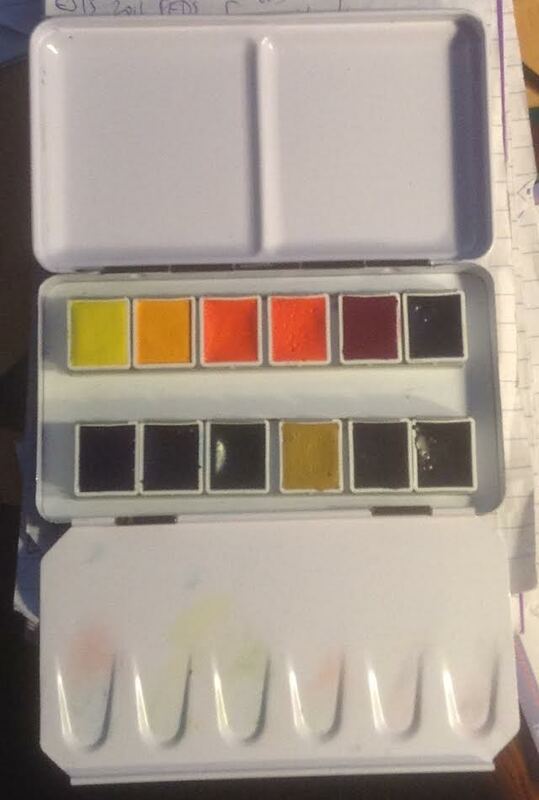 These watercolours flow well, so if you like doing a lot of wet-in-wet techniques, you won’t have any problems there. I don’t know about their lightfastness yet, but I’ll be putting some swatches in my window to test them out as soon as I get the other tubes I’ve ordered. I also won’t be able to comment on the tube paints until I play with those (hopefully they arrive before Christmas, though since I only ordered them today, I’ve probably cut it a bit close for a delivery from the UK). As I mentioned at the start of my post, Blockx are one of the most expensive watercolours you can buy (if not THE most), and they don’t seem too easy to find anyway; the only place I’ve seen them online from the shops I can buy from is Jacksons in the UK, and even the little shop where I bought my half pan set didn’t have any Blockx products except for that set, and even that was just sitting by itself in the cabinet, gathering dust. While most brands have tubes from 5ml to 15ml or even 37ml and half pans all the way up to giant pans, I was only able to find the 15ml tubes and the giant pans online, so those who usually like to buy a couple of half pans or small tubes to try them out (like me) may be put off at the prospect of having to shell out for a big tube. 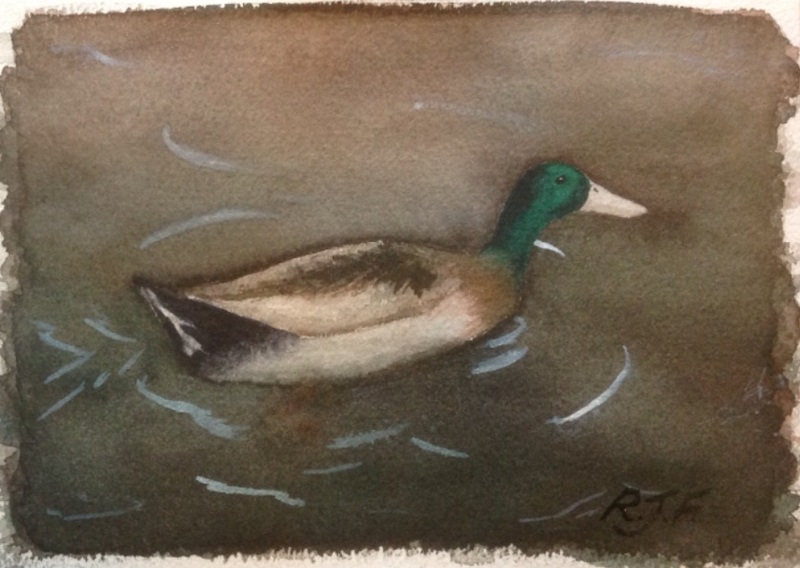 Here’s a duck I painted with the Blockx watercolours, based on a photo I took at University of Wollongong while at the conference (there are heaps of ducks around campus and most of them don’t care if you go right up to them to take pictures). Overall, Blockx watercolours are generally nice to use and of high quality, but given there are a lot of more readily available watercolours that are just as good (if not better) and cost less, it’s hard to justify the extra expense. I’ll definitely keep using my Blockx watercolour half pan set and I’d say it’s worth picking some tubes up if you see them on sale and you need to replace a colour you’ve used up, but they don’t really do anything that sets them apart from other artist grade watercolours. This entry was posted in Materials, Reviews, Watercolour and tagged Blockx, Painting, Watercolour. Bookmark the permalink.